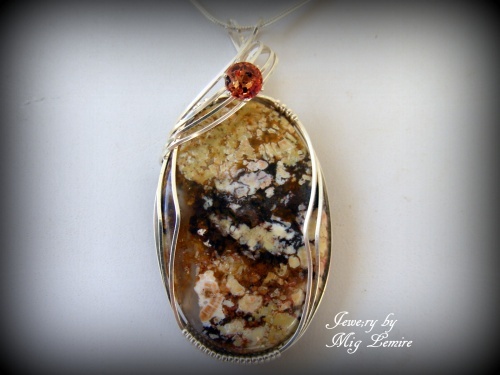 Dramatic Jasper gemstone accented with a gorgeous 1 carat faceted Ladybug Sapphire make this a truly amazing piece. The colors are striking and will match a sterling silver swirl that make the colors pop. Measures 2 1/4" long from top of bail to bottom of pendant and 1" wide. Comes with a sterling silver snake chain.